Insights is a free Facebook analytics tool that makes it easy to measure the performance of your business’s page. Insights tracks likes, page views, reach, and more. Check out this handy guide to getting started with Facebook Analytics. With Hootsuite Analytics you get real-time results, insights into trends, and team metrics. This makes it easier to measure the impact of your Facebook campaigns and see what content resonates best with your audience. Learn how to track the right metrics for your brand with our guide to social analytics. Did you 200 comments on your last post? Awesome. Unless those comments are actually complaints. Then you have a customer service problem. That’s where a sentiment analysis tools like BrandWatch can help. They monitor not just how much engagement you’re getting, but whether the talk is positive or negative. And, if you’re already using Hootsuite Insights, BrandWatch is a free add on. RapidMiner is another sentiment analysis tool. It uses a specialty text mining approach to evaluate the type of engagement (positive or negative) you’re getting in what it calls “unstructured content sources.” This means places like Facebook posts or online reviews. It also identifies areas for business growth, maps trends among your customers and consumers, and gathers feedback from your product launches. SumoShare can help boost engagement from your site by adding social media buttons that make it one-click easy for people to share your content on social media. Sumo has other useful tools for your site like a heat map that shows you where people are clicking and what they’re interested in. On average, people spend 3x more longer watching a Live video than a video that’s no longer live. That makes this video platform a powerful tool to engage your audience and increase your following. Get started on Facebook Live and increase your brand’s following. An analysis of over 100 million Facebook updates over 3 months, showed that posts with images got over two times more engagement than those without. That means double the likes, comments, and shares. So, including images in your updates is an easy way to boost engagement. Don’t have photos? No problem. Unsplash offers tons of beautiful, free stock photos for your Facebook posts. In fact, we’ve got a whole list of sites with awesome, free stock photos. The next step? Check out the Facebook tools for design section below for tips on how to edit your photos. 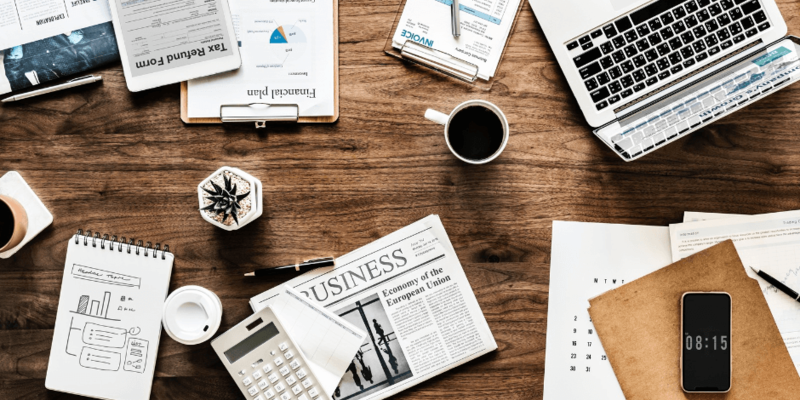 Video is projected to be more than 80 percent of web content by 2019, so understanding how to make a great video for social is must-have social marketing knowledge. Animoto’s easy-to-use templates let you add your own video and photos to pre-built storyboards. You can also add text, music, and more. You can even crop videos square so they’re mobile-optimized. GoAnimate allows you to create video content using a library of customizable animated characters. Just drag and drop them into settings and record your own audio. It’s a great option for anyone who wants to create video content without investing in photo or video footage. Ripl lets you add animation and text to up to eight still photos, helping you create eye-catching video content. You don’t need any editing skills and can post directly to your Facebook page. If you’re looking for a free tool, Adoble Spark is a great option. Pre-built themes have customizable layouts, colors, and fonts. You can also upload your own photos and video or choose from Adobe’s library. Finish off your video by adding text, narration, or music. It’s a great option for any social media marketer’s video toolkit. Even though 85 percent of people on Facebook watch videos with no sound, you’ll still want to find a soundtrack that fits your video. Facebook Sound offers audio tracks to use on your video content for free when you publish on the platform. And if you’re looking for audio that will work on other social platforms, check out these 8 sites for free soundtracks for your social video. 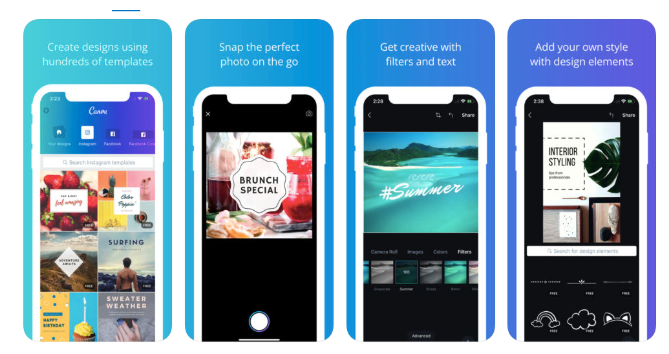 Canva is an iOS app that lets you edit photos and upload them directly to Facebook. Edit photos, add text, stickers, and more. It also gives you the flexibility to use pre-designed templates, choose from their library of free photos, or create your own images from scratch. At Hootsuite, we like using Canva to customize our free Instagram Stories Highlights icons. TouchRetouch is an easy-to-use app for basic photo retouching—no Photoshop skills necessary. Edit out power lines, trash cans, or anything else that’s keeping your photos from being Facebook-ready shots. Hootsuite makes it easy to find, crop, edit, and share your photos all from one app. Enhance also takes the hassle out of image sizing across different social networks with its pre-built templates that meet the optimal spec requirements for each social network. When your images are ready, share them directly from Enhance across your social networks, or schedule them for publishing later through Hootsuite. Facebook’s page manager app makes it easy to manage your Facebook page and marketing campaigns when you’re away from your desktop. You can also manage multiple pages from one place—a must-have for managing your social campaigns on the go. Get it on the App Store or Google Play. Hootsuite Mobile gives you control over your Facebook marketing campaign on the go, so you can respond instantly. But the fun doesn’t stop there! With Hootsuite Mobile, you can manage Facebook campaigns across multiple social media platforms all in one place. Schedule content, publish posts, connect with customers, and approve posts from your team. Adespresso is a Facebook ads tool that lets you create and test hundred of ads in minutes, so you can find the most effective ones. This takes the guesswork out of running an ad campaign and makes it easier to get the most out of your sponsored Facebook content. Adespresso has even compiled a library of over 500 examples of top performing Facebook ads to inspire you. Compass is a free tool from Adespresso. It generates a report that analyzes what’s working and what’s not in your Facebook campaigns. And it lets you benchmark how you’re doing compared to other Facebook advertisers and industry standards. Images may hold the top spot for an ad’s impact, but your headline is number two. CoSchedule has analyzed top performing headlines for engagement and conversion. Now they’re ready to pass on this wisdom to you. 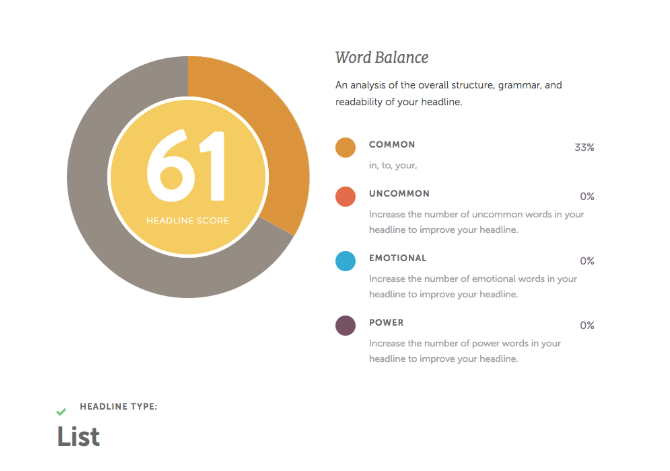 Paste in your headline and the tool will give you a grade, benchmarked against other top performing content and tips for improving it. You want people to read what you’re posting, right? The first step is clear writing. That’s where the Hemingway Editor comes in. The tool highlights sentences that are overly complex and gives suggestions for improvement. They’res There’s nothing more embarrassing than spelling and grammar errors in a Facebook post you spent time carefully crafting. Grammarly to the rescue! This free tool flags everything from contextual spelling errors to poor word choices. Facebook Blueprint offers courses, guides, and training modules, so you’re always up to date on the latest in social advertising. Whether you want to experiment with new ad formats, learn how to optimize your ads, or update your KPIs—Facebook Blueprint has course for every marketer. Facebook has over 2 billion active users every day. And 32 percent of Facebook users follow brands on the platform. So it’s a no-brainer to include Facebook in your marketing strategy. With these Facebook tools you’ll be well on your way to a successful marketing campaign.